I’ve written a few blogs before about how robots are going to take over many repetitive jobs over the next few decades. Certainly robots have had a role in manufacturing for some time now, to the point that we have a name for them, steel-collar workers. But we are on the verge of seeing automation pop up in places that you might not have suspected. Following are some examples of trials of robots that are happening in the world today. Pharmacist. The vast majority of prescriptions that are filled are very routine. There are still medicines that require a pharmacist using a mortar and pestle, but most drugs come ready-made from the manufacturer and just need to be packaged for a given patient. The UCSF Medical Center launched a trial of a robotic pharmacist at two of its hospitals. The robots pick, package and dispense prescriptions and last year prepared 350,000 prescriptions without error. Further, a robot at bedside is being tested that will scan drugs and verify that each patient is being given the right medication. Hospital Orderly. At any given time in a hospital, one major daily task is wheeling patents from one place to the next. Last year Abacus Global Technology tested a motorized orderly system in Singapore’s Khoo Teck Puat Hospital. These motorized hospital beds can move patients from place to place at a safe speed and are smart enough to deal with changes in terrain (like something laying on the floor or traffic congestion. While these won’t replace orderlies who do many other tasks, they will allow a hospital top reduce the number of needed orderlies. Paralegals. One of the most gruesome task anymore in a law suit is reading the mountains or documents that are produced during discovery. One tactic of defendants is to produce so many documents that they overwhelm their opponents. Law firms bill huge sums to have people read these piles of paper and people get tired, make mistakes and might miss the key piece of evidence. Blackstone Discovery of Palo Alto California provided software for a recent lawsuit that was able to scan and process 1.5 million documents for a cost of $100,000, a huge savings. This is good news for defendants and bad news for law firms. Cleaning. In a world that is battling ebola and other deadly diseases there is a need for somebody to thoroughly clean areas and kill every germ. Xenex Disinfection Service has developed a robot that will kill every germ in a room with UV light. Of course, this same technology could be brought to hotels and even to germ-phobic households. Store Clerks. A lot of store clerks have already been eliminated due to self-checkout. The next robot innovation is being tested by Lowes at its Orchard Supply Store subsidiary. The robot, called OSHbot has a complete map of the store in memory plus access to current inventory and will lead customers to the right place in the store to find what they want. Hotel Concierge. Last year the Aloft Hotel in Cupertino California tested a robot concierge. Named SaviOne, trials have shown the robot to be as helpful as a human concierge. The robot leads you to your room at check-in (without expecting a tip). It was able to provide restaurant recommendations and reservations, hail a cab and handle a lot of routine customer service tasks. Rescuers. There are several robots being tested to help in emergencies. Scientist at Tohoku University in Sendai Japan have developed a robot that can be used to enter tight spaces such as with a building collapse. The snakelike robot can enter tight spaces and can identify movement while also sending back camera images to the operator. There are other robots being used that listen for faint noises in these situations helping to find trapped people. Babysitter. Aeon, a major Japanese retail store is using robots to babysit children while their parents shop. The robots come in various styles, such as a Hello Kitty robot. NEC also has a robot called PaPeRo that can amuse kids by telling jokes, giving quizzes and which can keep track of kids using an RFID chip. Soldier. This one is scary to anybody who shudders when they watch the future scenes in the Terminator movies, but there are a host of defense contractors working on field combat robots. Early versions of some of these robots have been tested in Iraq, but the technologies are improving rapidly to the point where robots might be used to go into harm’s way before people. Sportswriter. Narrative Science, using software developed by Northwestern University is using software to write sports stories from data supplied by box scores. Fox Sports is already using this software to write stories about baseball and softball games. It’s said that the stories are informative and about the same as what would be written by a human sportswriter. When somebody comes out with robot blog writer I guess I’ll go back to watering my plants and drinking an extra cup of tea in the mornings. It will be interesting to see if they can find a robot as opinionated as me! ← What’s Wrong with Title II Regulation? Oh goody, more innovative and creative ways to provide less-personalized customer service… What will they think of next? 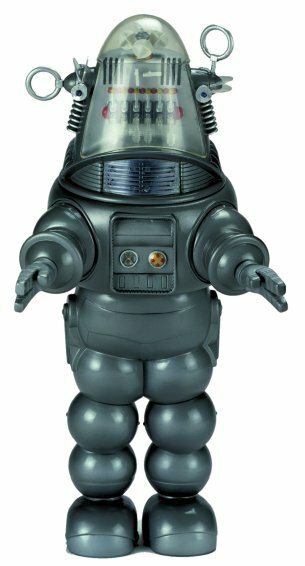 Hospitals: The thought of robots running gurneys with patients around hospitals brings to mind a whole host of “Grade-B” movie scenes… some humorous, some not… and anyone thinking that minimizing the number of hospital orderlies is going to save buckets of cash for hospital is thinking foolishly. They are not paid very much as is, and there are already way too few of them. Probably the two largest savers of cash for hospitals will be the elimination of upper management bureaucracies (too many over-paid managers that actually do NOTHING!!! ), and more accurate billing. The purpose of robotics is to streamline processes, giving the human personnel more time (not less time…) to personally and accountably meet clients and their needs, and deal with customer/client issues. Alternately, if the purpose of robotics in the medical field is to save money and cut down on personnel, then this is recipe for failure, a “set-up-to-fail”. Yes, robotic soldiers is a decidedly scary thought. My article didn’t say if any of these changes are good or bad things. They will as good as the implementation. Certainly using a robot a few years ago to plug off the BP oil well in the gulf was a great thing. But the first time a robot drives a patient down an empty elevator shaft there will be hell to be paid. Or imagine if somebody hacks a pharmacy robot to give somebody a drug that will kill them. But automation of repetitive jobs is coming whether we like it or not. These early versions that are being tested are the first generation of such devices. But as Moore’s law results in faster processors these new robots are going to get a lot better. Living in Florida, I would welcome self-driving cars. Some of the elderly drivers that come here in the winter scare me to death.